The Internet is a wealth of information and is used for so many services that we all rely on – from business email to social networking and online shopping. 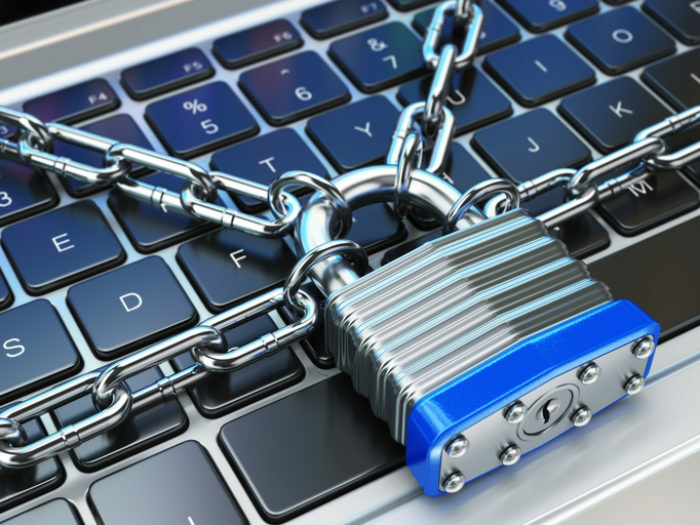 But are you following the small business cyber security practices that will protect you from the potentially disastrous results we saw earlier this year from ransomware and other types of attacks? Nowadays, people create accounts to access various portals and online services without thinking about it. But these all require personal information such as name, date of birth, address, contact number(s), credit card details. etc. This information is sensitive. Precautions must be taken to prevent this data from being accessed and leaked by hackers or scammers who impersonate identity and even hold your valuable data to ransom for financial gain. Be aware of the risks and use the available technology from dedicated internet security companies to keep up to date with the latest antivirus or malware protection; also be aware that “User Integrity”(i.e. personal gullibility) is the biggest vulnerability to most systems. Internet scams: falsely informing users that a prize has been won or convincing them to subscribe to a service where their personal information is stolen. These are often sent via email or internet pop-ups and advertisements. Phishing: hackers disguise themselves as legitimate sources attempting to obtain your personal information. This type of vulnerability is usually sent via email and appears identical to requests from a genuine company; but it contains links to carefully designed forms or websites that prompt users for personal information without appearing suspicious. Malware: malicious software pretending to boost computer performance or identifying current risks that your computer is exposed to or that prompts you with options of false solutions through a payment wall. Ransomware : Encrypts your data and locks down your computer for a certain duration and can only be removed by meeting the demands: generally, payment through cryptocurrency. These are just some examples of potential exposures that your home computer or small business network are susceptible to. The above types of attacks can cause stress and reputation damage for small businesses. What cyber security practices can your small business follow to reduce the risk? 1. Keep operating system and applications updated – and install any security updates released by the provider. 2. Install antivirus software with internet protection – and keep it up-to-date. 3. Utilise multiple passwords with adequate complexity – use numbers and special characters for all passwords across all login platforms. Additionally, password management tools such as LastPass, 1Password and others can do this for you. While popular, there are risks associated with using (and with not using) those kinds of tools. Sender email address is consistent? Use of branding and formatting? Is it too good to be true? (You have won $1,000,000 please input your bank account details to complete the transaction). 5. Research – read forums or reviews on freeware programs before installation. 6. Use common sense – keep all personal information private. Now you have some basic knowledge of the potential vulnerabilities that your small business may encounter online, and some of the simple cyber security practices you can start applying to lower the risks.